Walking along 27th Street between Broadway and 6th Avenue, you’ll hit the Radio Wave Building, where electrical engineer and inventor Nikola Tesla used to live and conduct radio wave experiments in 1896, back when the building still operated as a hotel. These days, just a few blocks away on 26th Street between 2nd and 3rd Avenue, another man of science toils away: Jason Sapan, who transforms into Dr. Laser in the seconds it takes to throw on a white lab coat. Back in 1970 Michael Netter was a recent graduate, soaking up the big city’s vibrant art scene. A striving painter, he fell in with Andy Warhol’s Factory crowd after showing up to a party with his brand new Sony Portapak video camera (20-pound backpack and all). The new technology instantly attracted the pop-master. “Before, ‘Hello, how do you do,’ it was: ‘Can you do that for me? 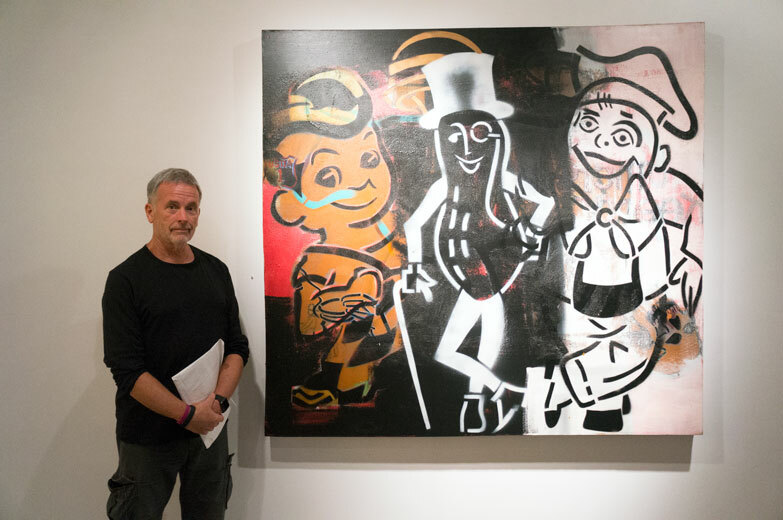 '” Netter says of his first interaction with Warhol. 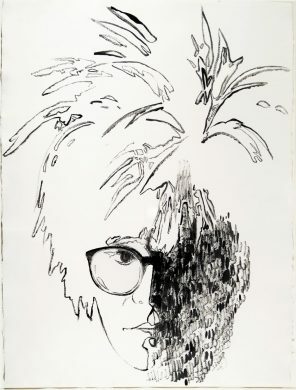 For the next few years, he followed him around, filming bits and pieces of Warhol’s world, from random conversations at the Factory, to the infamous first meeting between David Bowie and Warhol (“He was miming! And miming badly!”), and interviews with the likes of Cybill Shepherd, Brigid Polk and other Warholian superstars. What’s it like to step into another person’s fever dream…if that person has been obsessed with Andy Warhol since childhood? That’s the premise behind Raja Feather Kelly’s the feath3r theory, the first and only dance company devoted to the great Factory master of celebrity. For his new show presented by Danspace Project, Andy Warhol’s Tropico, Kelly was inspired by Lana Del Rey’s short film by the same name, which follows a kind of Adam and Eve/Bonnie and Clyde narrative from original sin to redemption, with John Wayne standing in for the God figure. Melded with Warholianism, it makes for a (two-hour plus) surreal ride through a strange new land, recycling pop culture themes and touching on the power of celebrity as well as Kelly’s own identity. Okay, not hanging — this is street art, after all. But check out the mural that Solus and John “Crash” Matos put up today just across the way from the former CBGB, at Bleecker and Bowery. According to the LISA Project, the piece is part of the LoMan Art Festival, and marks the anniversary of the Ramones’ first show at CBGB, on August 16, 1974. Discover an Andy Warhol who is “anything but the removed observer of most popular accounts” with critic, poet and CUNY professor Wayne Koestenbaum, whose writing style has been described as “an impossible lovechild from a late-night, drunken three-way between Joan Didion, Roland Barthes, and Susan Sontag.” He’ll be joined by Stephen Koch, author of Stargazer: The Life, World and Films of Andy Warhol, for an in-depth discussion about the enigmatic pop artist. Overcoming the past is a key theme in young authors’ Edan Lepucki and Mira Jacobs debut novels, both published last year to great acclaim, so it seems natural that they would celebrate their paperback release with a discussion on the topic. Lepucki’s California tells the story of a couple living in the ruins of a dystopian America who must choose between freedom and security when they discover they are expecting a child. “Lepucki conjures a lush, intricate, deeply disturbing vision of the future,” said Jennifer Egan (Welcome to the Goon Squad). Jacob’s The Sleepwalker’s Guide to Dancing is about a daughter who returns to her childhood home to help with her unwell father, only to find herself confronted with strange looks from the hospital staff and a series of puzzling items buried in her mother’s garden. “When her plot springs surprises, she lets them happen just as they do in life: blindsidingly right in the middle of things,” said the Boston Globe. Tuesday, July 14, at 7:30 p.m. Greenlight Bookstore, 686 Fulton Street (Fort Greene).